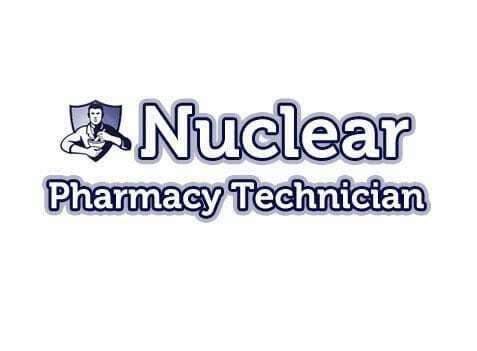 A nuclear pharmacy technician is a sort of pharmacy technician, except they are highly specialized. A NPT is the shorthand for a nuclear pharmacy technician. It’s a pharmacy technician who’s had specialized training and education in a clinical setting for nuclear pharmacy. A NPT works under the direct supervision of a licensed nuclear pharmacy technician. It’s much the same set-up you would see in a CVS/Pharmacy where a pharmacist is working with a pharmacy technician. The State Board of Pharmacy may or may not have information that pertains to nuclear pharmacy technicians. Nuclear pharmacy technicians are a very small minority of all the different practice settings for pharmacy. Of a couple hundred thousand registered pharmacists, less than 1% have the specialized training that’s necessary to work in nuclear pharmacy. That makes it a very different, very elite field, with a lot of training and specialization that pharmacists in different areas don’t get. These tiny numbers don’t warrant special regulations for this group. There needs to be some kind of alternative training program for nuclear pharmacy technicians. The guidelines for nuclear pharmacy technicians were published in 2000. The document outlined the training guidelines, core competencies, and training topics for this special group. Nuclear pharmacy is a special area committed to the dispensing and compounding of radioactive materials for nuclear medicine activities. It’s a specialty pharmacy area, and it’s one that necessitates having a knowledge in a specific field. Nuclear pharmacy development followed nuclear medicine, and they were both recognized by the American Medical Association. Nuclear medicine procedures are becoming a lot more common, and that means that there is going to be an increasing need for nuclear pharmacy technicians. Nuclear pharmacy technicians are highly sought after, and in demand, because there are so few of them. 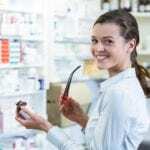 It is like being a pharmacy technician, but you have a lot more power because you have such a powerful and high-profile specialty. Pharmacy technicians are abounding, and there are about 200,000 of them, but there are only 2,000 nuclear pharmacy technicians. That puts them in a very privileged role. There are some major differences in nuclear pharmacy technicians’ job roles though. They eventually had to have their own designation as a separate specialty pharmacy practice. There are different practice areas that are only seen in nuclear pharmacy, and there are different classes of drugs used as well. Radioactive material is used with these drugs, even though the quantity is small. There are still definite precautions that have to be taken. Nuclear pharmacists have to be well aware of these precautions, and they have to take them into consideration. There is specialized training for nuclear pharmacy technicians because the nature of their job role is very different. They are unique people who have unique roles, and they have to work hard to ensure that they get the medications just right, because a lot can go wrong if they don’t. That’s why there are specialty training programs for nuclear pharmacy technicians. 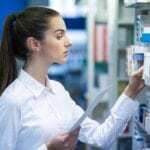 Previous PostPrevious Does a pharmacy technician need a degree?